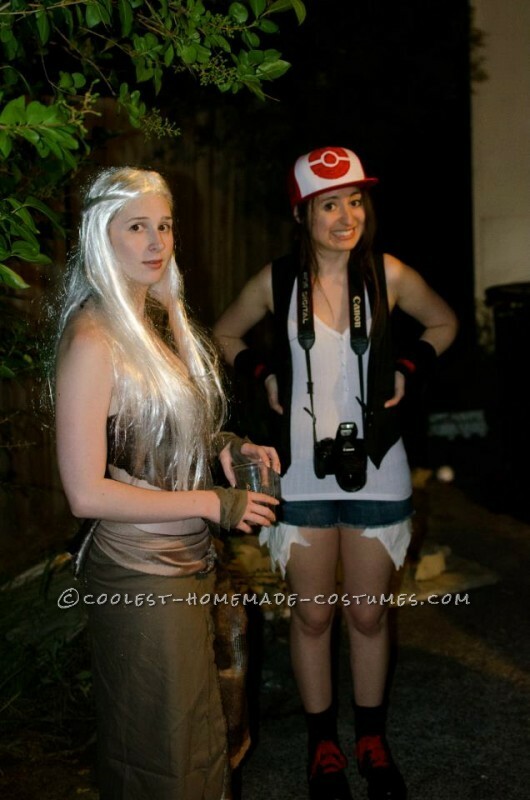 Earlier this year I went to a “Nerd” themed costume party where we were encouraged to dress as things that nerds like or have a cult following. 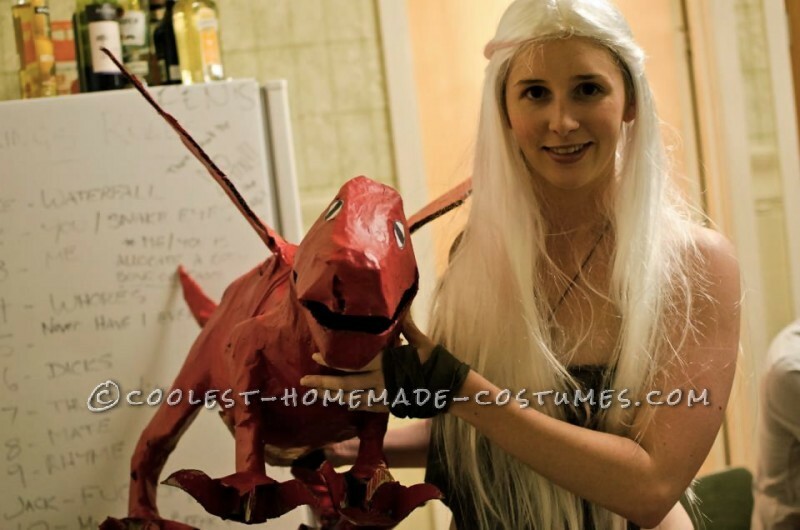 I decided to go as Daenerys Targaryen from the Game of Thrones book and TV series. I started by finding a long bleach blonde wig which I styled. I already had the plain cream flat boots. For the shirt I got an old bra and cut the straps off then stitched a triangle piece of shiney brown textured fabric along the top. I let the rest of it hang loose, tied the ends together behind my back and added a halterneck. For the skirt I stitched a square of matte brown fabric to a some elastic. I then used more of the shiny brown fabric to fill in the front of the skirt. I used strips of leftover brown and black fabrics to make a belt and tied strips around my hands to make gloves which really finished it off. I got lots of compliments and anybody who had seen the show recognized me instantly!